I connected my iPhone 5 to my computer, did a BACKUP, and then clicked on the UPDATE button to go to IOS 7.02. I am on 6.1.4 now. The computer give me an error message that says, "There are purchased items on the iPhone “Grampaw's iphone” that have not been transferred to your iTunes library. 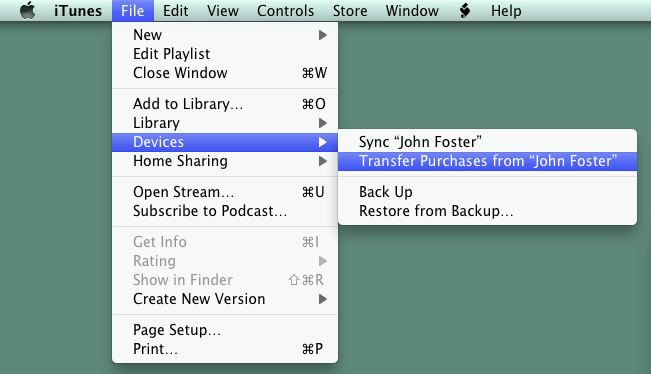 You should transfer these items to your iTunes library before updating this iPhone. Are you sure you want to continue?" Sadly, I have no idea how to fix this problem, if it really is a problem. I can't see any place where I am supposed to transfer purchased items to the computer so I must be missing the place to do it. How do I fix this problem PRIOR to updating to IOS 7?